In Round 9, three Dingos players will hit key milestones, as Denis Cormier will play his 50th, while Mike Karas and Mick McFarlane will play their 100th games for the club. 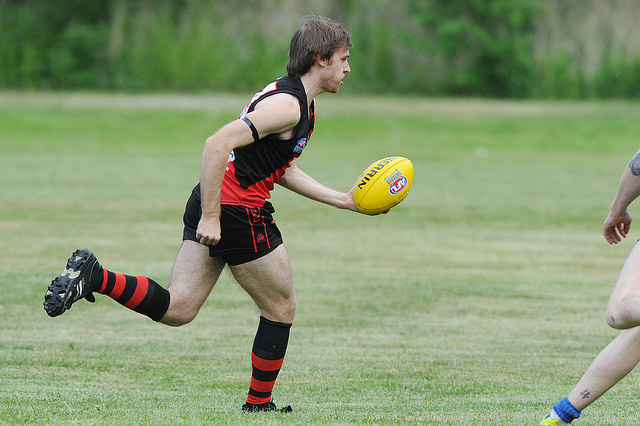 Denis Cormier originally met up with the Dingos during their Finals run of 2011, but couldn't suit up for the club until the 2012 season. A quick learner, who showed fearless commitment to the footy despite his smaller size, Denis won the Rookie of the Year award in 2012 as well as the Most Improved Award. With quick speed and strong defensive skills, Denis has become one of the more versatile members of the Dingos, playing all over the ground wherever he is needed. He has also chipped in with 10 goals over his career. We congratulate Denis on his first great 50 games and look forward to many more! This week, Mick McFarlane will play his 100th game for the club, becoming only the 10th Dingos player to achieve that distinction. Mick joined the Dingos in 2007 and quickly distinguished himself as one of the toughest, hardest Aussies ever to play for the Red & Black. An onballer who is never afraid to get in the middle of the pack to secure the footy, Mick anchored the centre of the Dingos lineup for many years. 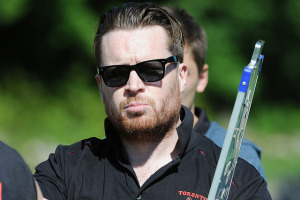 In more recent years, he has been instrumental in helping to form and lead the Division 2 squad and was a part of the championship squad of 2013. 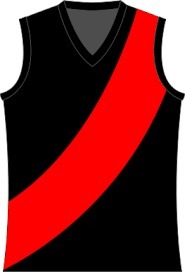 Off the field, Mick has emerged as a cornerstone of the club. He has served as Coach, Captain, and President. He has been honoured with the Steinberg Award, the Coach's Award, and has won the Stewart Award (Best & Fairest) on three occasions. It is an honour to have him as a part of our club and we salute him on the occasion of his 100th game. Congratulations, Mick! Mike Karas is one of the longest-tenured active players for the Dingos. Having joined up with the Dingos way back in 2001 as a high-school student, Mike has become a cornerstone of the Dingos backline, frequently matching up against the opposition's top threat. This week, Mike will play his 100th game, only the 6th Canadian to reach this high distinction. 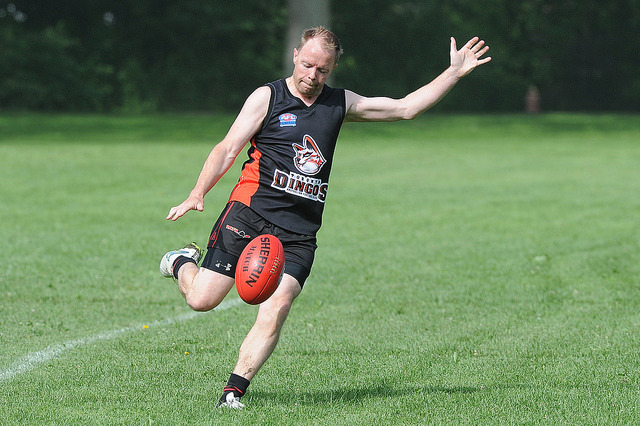 Having played footy all over the world, Mike has also represented Canada for a number of years, competing with the national team, the Northwind, in both the USA and in Australia. Mike has also been selected to the AFLO Allstar team. For the Dingos, Mike has won the Stewart Award, been honoured with the Coach's Award on two occasions, and served on the Executive. We congratulate Mike on the occasion of his 100th game and wish him all the best! We would be remiss if we did not also salute Gary "Gazza" Conlon, who played his 50th game for the Dingos at the start of the season. Gazza joined the club in 2012. Right from the beginning, he has been relentless in his desire to improve and conquer the game of footy. Few players have worked harder at training or on game day or have been more willing to step up and play both Division 1 and Division 2 games on the same day. Such commitment and dedication was recognized with the Coach's Award, which Gaz took home in 2014. A versatile player who is at home in both the back line or forward line, Gaz has also kicked 13 goals in his young career. Gazza has also begun to take on a leadership role within the club, serving as Captain of the Division 2 squad and helping to organize multiple social events, most of which involve getting the blokes out to watch his band, Honeybeard (first EP now available on iTunes! ).